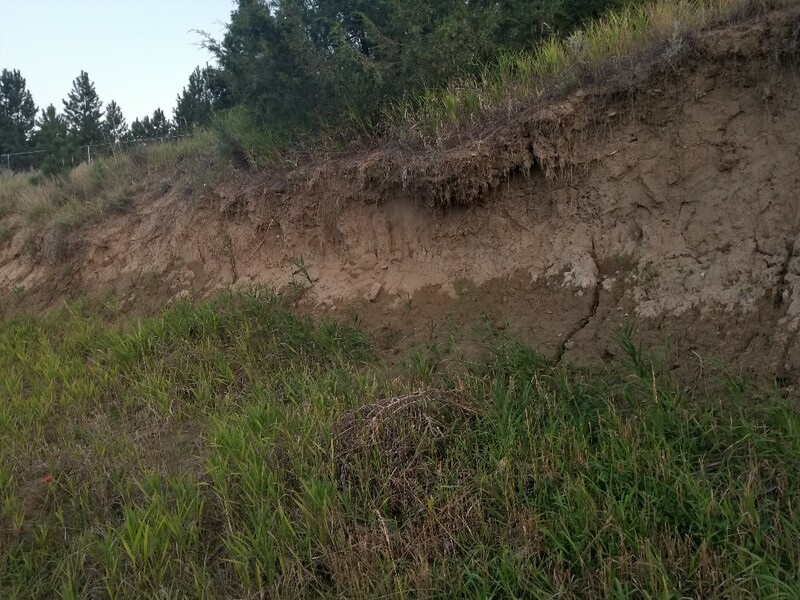 I have this cut away slope on my property. As you can see, the bottom few feet of it are wet, and they stay that way all through the heat of summer. Was wondering if anyone had any ideas on how to best get at that water? Not that I'd trust it to drink as is, but it would be nice for watering trees and as a backup. Think if I hydrojet a pipe into the slope ten feet or so I'd get a trickle of water from it? Re: Opening a spring on my property? I am not a geologist or hydrologist but that looks like the water table and not a spring. Check with your local AG extension to get a copy of the local soil survey. They should also have information about the water tables at various depths. The other thing you could do is get some 1 inch pipe and drive it into the soil and see what happens.